The April 2019 Edition has been published! 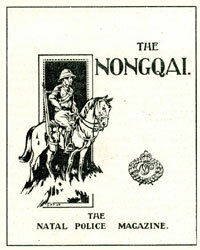 The electronic version of the Nongqai magazine continues a long tradition dating as far back as March 1907, when the first-ever issue of The Nongqai No 1 Vol 1 appeared in the colony of Natal. The Nongqai is compiled and published on ISSUU by Hennie Heymans a retired Brigadier of the former South African Police Force. He lives in Pretoria, South Africa. He is passionate about our police-, military- and national history and holds a MA-degree in National Strategic Studies. 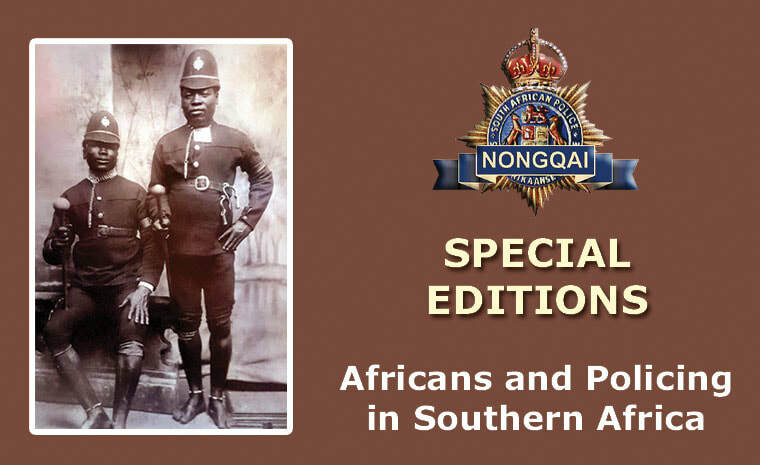 ​To learn more about the historical background of The Nongqai and other South African Police/South African Forces magazines, click/tap here. ​Our goal is to collect and record our national security history for publication in the Nongqai for future generations. Ons doel is om die nasionale veiligheidsgeskiedenis in die Nongqai aan te teken en so vir die nageslagte bewaar. ​A thesis by Charisse Lurlene Welgemoed, submitted in part fulfillment of the requirements for the degree of Doctor of Theology in the subject Practical Theology.